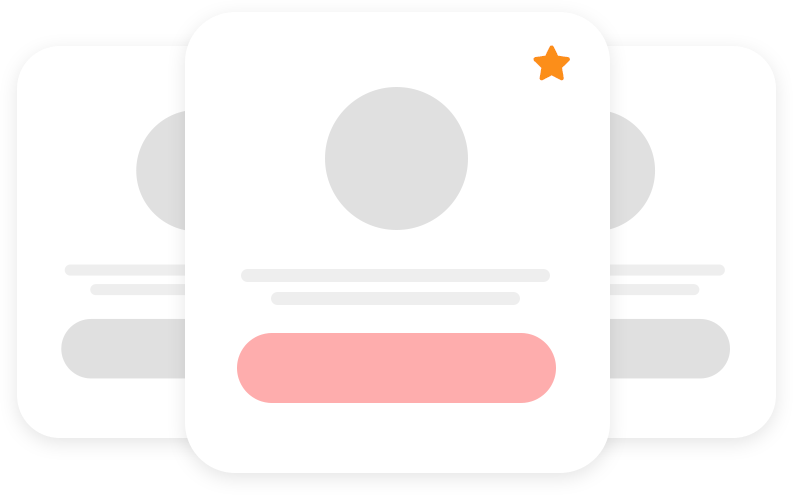 Are you serious about design? If so, you can take charge of your future education now. 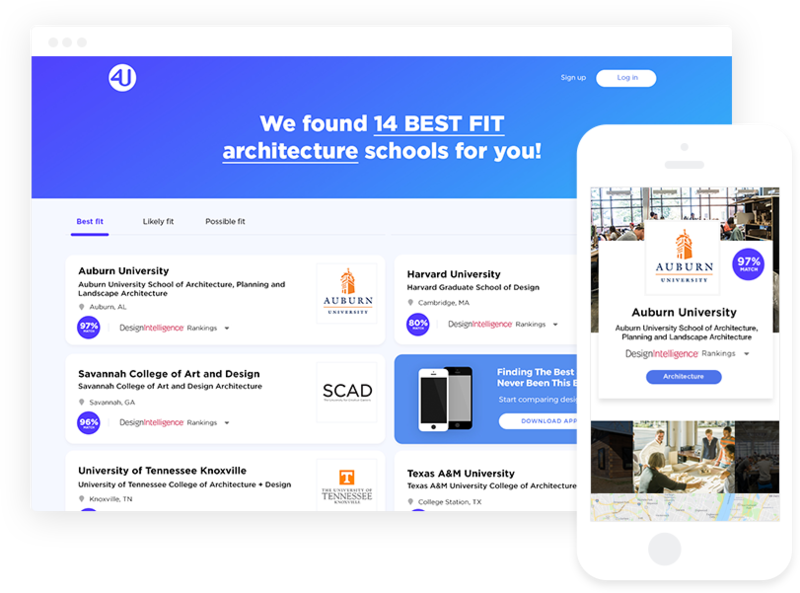 Get ready to find your Best Fit design school. 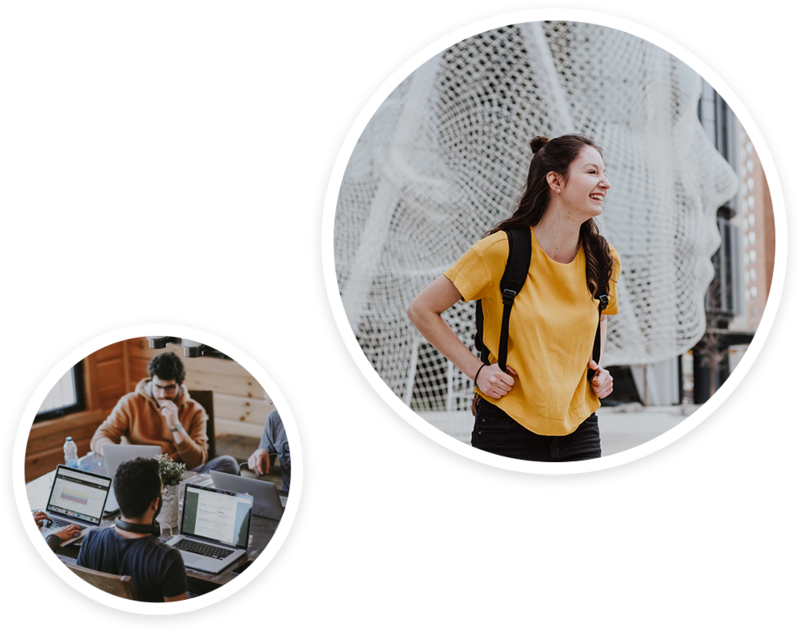 Understand how you match up with the culture of a school using the personality matching tool. Search from hundreds of programs using what interests you in education and lifestyle preferences. See what really fits. Let it sink in. Find out what makes each school tick. Rankings are a big thing. 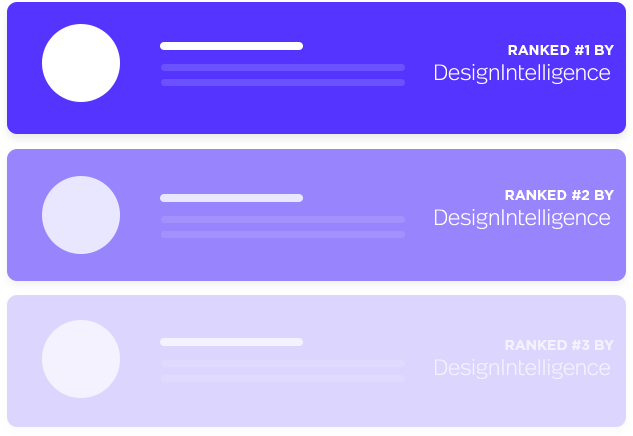 The latest rankings from DesignIntelligence are found here. And yes, DesignIntelligence is all one word. Peek inside your best fit school with exclusive photos of classroom and studio spaces, makers labs and urban and rural studios. We are currently accepting registrations from schools. If you are interested or have questions, please let us know through the school contact form by clicking the "For Schools" button below. Students can sign-up to be notified when the app goes live by clicking the "For Students" button below. © 2018 Design Schools 4U. All rights reserved.